I Love Telling Stories. Let Me Tell Yours! From producing the Peabody-award winning film, The Incredible Voyage of Bill Pinkney to Forgotten Ellis Island to Beatrice Mtetwa and the Rule of Law, and Undaunted, Chasing History at the Boston Marathon about the 2013-14 Boston Marathon, Lorie Conway’s passion for telling stories through film and video is undeniable. 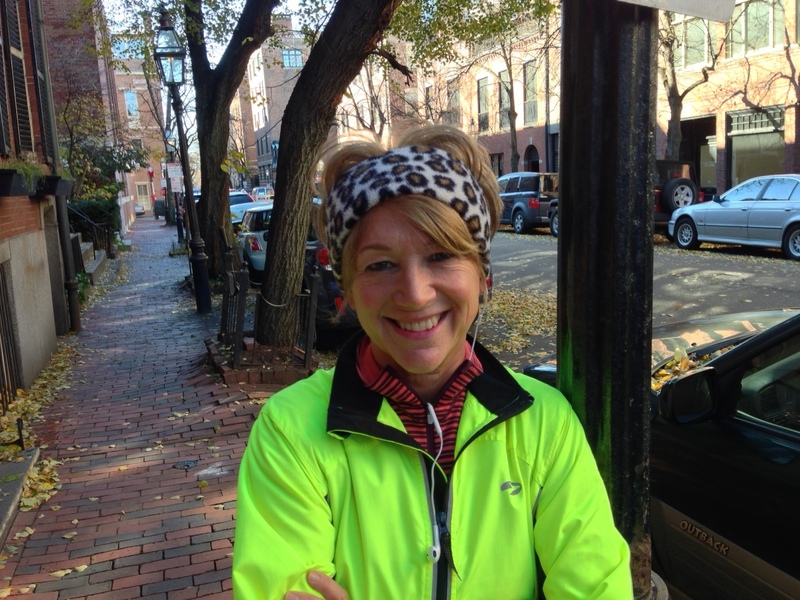 Since moving to Boston in the early 1980’s, Lorie has been covering stories about the city, the human condition, sports, politics, and history. Her reporting has taken her from City Hall to the Green Monster inside Fenway Park, to Robert Frost’s farm in New Hampshire, to Pete Seeger’s home along the Hudson River, and to Norman Rockwell’s studio in Stockbridge. Her work has covered an array of issues with well-known thinkers and activists but her favorite stories are with those who seldom make the headlines. Lorie’s filming has wracked up the miles telling far flung stories, too, with Bill Pinkney off the coast of Bermuda as he was preparing to sail the final leg of his 22-month odyssey sailing solo around the world, to Cairo for a series about “the veil” and the deepening fundamentalism in the Middle East. In Tanzania and Mozambique, she filmed with an NGO who works to improve the health and well-being of people in the poorest communities of the world. Most recently, Lorie’s travels to sub Saharan Africa, Zimbabwe, South Africa, and Swaziland, for a film about one of the bravest women she will ever meet — Beatrice Mtetwa—a human rights lawyer who defends victims of Robert Mugabe’s brutal regime. Beatrice Mtetwa and the Rule of Law, is being distributed world-wide featuring screenings around the globe. For more information, check out Lorie’s Huffington Post article on the current state of affairs in Zimbabwe. Growing up the fifth out of six kids in an Irish, working-class, Cleveland neighborhood, Lorie’s parents were political activists. After coming home from school, it was not unusual to find Dennis Kucinich, a future mayor and congressman, in the kitchen sipping a cup of coffee, talking politics with Lorie’s mother. But while Dennis might have convinced her mom to campaign for him, his efforts didn’t phase Lorie. Her first job out of college was working for the opposition. But her candidate ended up losing the mayor’s race. And Kucinich’s election caused more hardship than renewal in Cleveland as his populist, anti-business policies drove the city right into default. It took years for “the mistake on the lake,”as late-night talk show hosts referred to Cleveland, to rebound, only to fail again and again, a victim of rust-belt downsizing and the loss of its manufacturing base. Before long it was “Hello, Life. Goodbye, Cleveland,” for this aspiring Conway. Lorie graduated from Ohio State University majoring in journalism and communications. A few of years after moving to Boston and working for two of the local television stations, Lorie landed a job as a producer and writer for Chronicle, a Boston-based nightly news magazine program. Over the next 13 years, assignments took Conway from Boston to around the country and around the world as she produced stories near and far. She also worked as a producer for five years at WGBH, PBS’s flagship station in Boston, crafting documentaries and writing a book about the social history of Boston neighborhood’s. 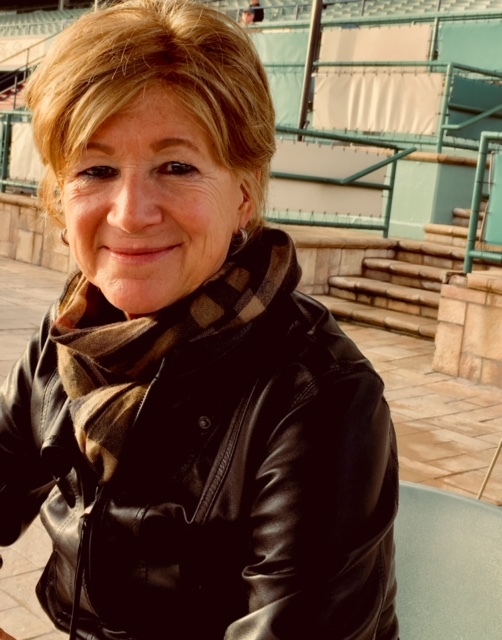 After winning the Peabody and du Pont awards, Lorie spent a year as a fellow at Harvard taking classes and seminars as part of the Nieman Foundation for Journalism Fellowship program. A life-changing experience, the Nieman Fellowship freed up the deadlines and opened up new ideas and learning from her fellow classmates, twenty three jounalists from around the world, and professors. For eight years, Conway served as vice-president of the Nieman Foundation’s advisory board. Lorie also serves on the Associates Board of the Boston Public Library. In 2001, she founded Boston Film & Video to concentrate on the independent producing of longer form films. It didn’t take Conway long to learn that “independent”producing is anything but….it means endless grant proposals and meetings with potential funders, developing partnerships, and expanding her skills —learning to film with small HD cameras and producing for multiple platforms. Along the way, Lorie has worked with an array of talented cinematographers, video journalists, and editors to assist in the production of her film and video projects. Over the course of more years than she ever imagined, she traveled to Ellis Island to film the abandoned buildings on its south side. Before Forgotten Ellis Island, her PBS film and companion book published by Harper Collins, the lost history of the Ellis Island Immigrant Hospital had never been told. A short version of the film is shown at the Ellis Island Museum and is currently being re-broadcast on PBS stations around the country. In addition to developing and creating short features and long form documentary films, Conway consults for other filmmakers and clients, including NGO’s, foundations, PBS, and a variety of commercial video projects. Personal stories are what drive this filmmaker and producer—finding the small story to illustrate the larger one. Finding people like Beatrice, the African lawyer in a lawless country, John Henry Wilberding, an immigrant who, as a child, was sick and lonely on Ellis Island, or Margaret Doyle, a homeless woman who slept in the stairways of a skyscraper after her rent controlled apartment was converted to a condominium. Lorie never stops believing in the power of the story to seek the truth and to shine a light. Her passion? Telling meaningful stories through film and video. It’s what she loves to do.